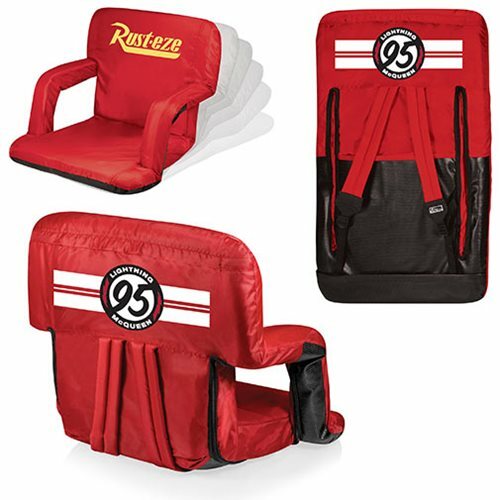 The Cars Lightning McQueen Ventura Portable Reclining Stadium Seat is a portable recreational recliner with armrests and adjustable backpack straps you can take just about anywhere. Armrests mean comfort for some of us and this seat won't disappoint. In addition, it's filled with high-density PU foam which provides the firmness you need to prevent aches in your back and bottom. If you prefer a wider seat over armrests, you can invert the armrests to increase the width of the seat to 20-inches. 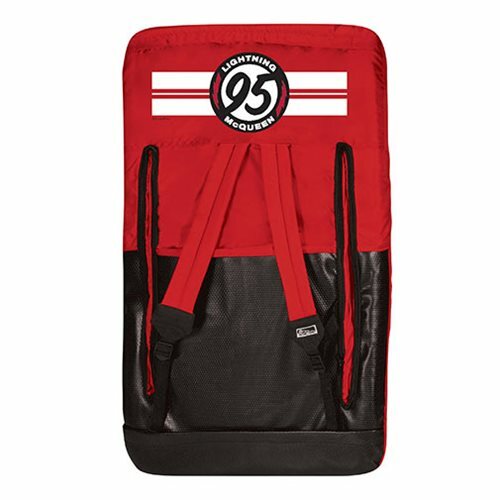 Six backrest positions offer a range of comfort possibilities, and adjustable backpack straps accommodate people of all heights. 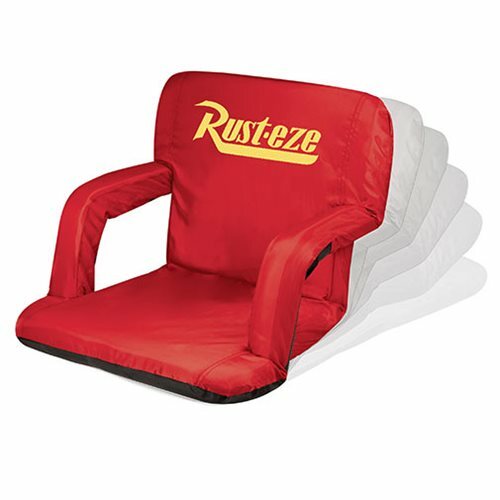 Great for the beach, pool, picnics, spectator sports or for dorm living and video gaming. Measures 38-inches long x 20-inches wide x 4-inches tall.